Welcome to cheese-making! 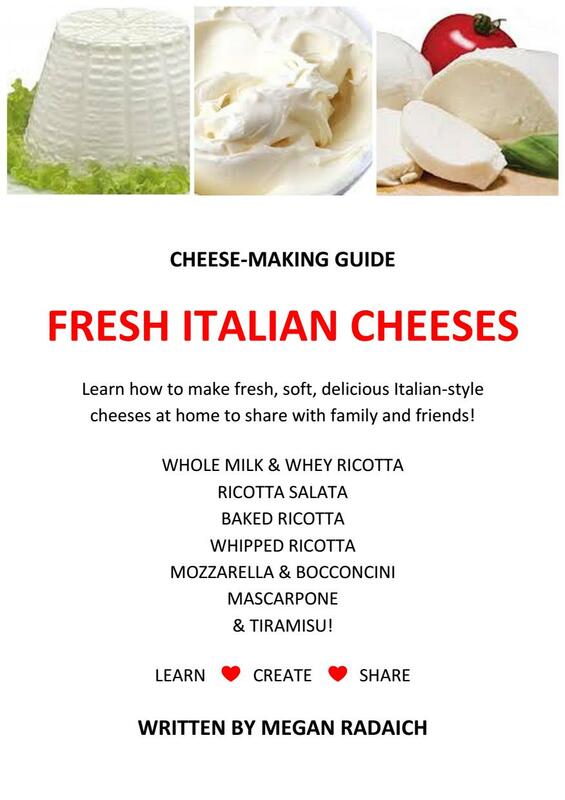 Cheese-making is a preserving skill from long ago, when animals were first domesticated; now you can learn how to use milk and cream to make delicious cheeses and share these skills and recipes with family and friends. All cheese is made by making milk sour by adding an acid - such as lemon juice or vinegar - or adding specific strains of bacteria (known as cheese cultures) that acidify the milk as they multiply. The sour milk splits into curds (solid) and whey (liquid) and may be cooked, pressed, moulded, salted and matured to create different types of cheese. For more information on this process, please read individual cheese recipes carefully before making. Sterilisation is VERY IMPORTANT when making cheese at home – you are allowing bacteria to culture in the cheese, so make sure it is the right type of bacteria! Ensure all surface areas are disinfected and wiped clean, and sterilise any equipment. We keep two buckets on the side – one bucket for water (rinsing) and one for the sterilising agent. When equipment is not used, place into the water then into the steriliser for at least two minutes before removing to use. Handling cheese directly? Ensure hands are clean – if unsure, spritz hands with white vinegar before handling cheese.